Many of the veterans of the Crimean War who settled in Western Australia may have been recipients of relief from a ‘patriotic fund ‘(a notation ‘Pat. Fund’ on their Chelsea Pension discharge papers). There were probably a great many patriotic funds established in the 19th century, particularly after the Napoleonic Wars, onwards into the 21st century. Many were privately endowed and others were established from public subscriptions. At this point I have not been able to ascertain from what source the Crimean War veterans in Western Australia received ‘Pat. Fund’ relief. When you read the aims of the Royal Patriotic Fund below, there is no suggestion that assistance was available to anyone but widows and orphans of servicemen. I understand that at some point there was a schedule in the deed which allowed assistance for survivors of the Light Cavalry Brigade present at the charge of the battle of Balaclava, but beyond that I do not know. The Lloyd’s Patriotic Fund, also described below, is occasionally a notation on discharge papers of some Crimean War veterans in Western Australia. 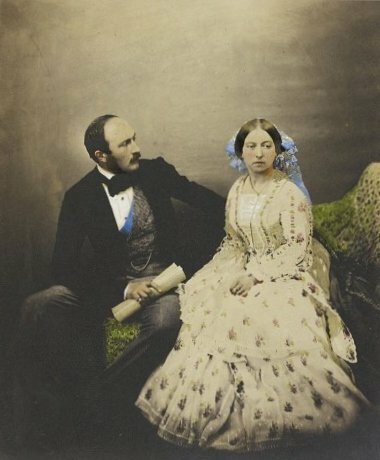 The Royal Patriotic Fund (RPF) was created in 1854. Queen Victoria, concerned for the well-being of the widows and orphans of British servicemen dying in the Crimean War, made an appeal for public donations. (The State did not at that time assume any responsibility for the dependants of its soldiers and sailors lost in conflict.) By the Queen’s warrant, the RPF was to be administered by a Royal Commission, with Albert, the Prince Consort, as its first President. Response to the appeal was great. Not only were the RPF’s Commissioners able to make grants for hardship cases and to place orphans in various existing schools, they quickly decided to found and administer two new schools of their own, one each for boys and girls. Although there was never any suggestion of impropriety, concerns arose that the Commissioners were perhaps not entirely covered in law for the ways in which they were putting to use the resources of the Fund. Parliament responded by passing the Royal Patriotic Fund Act in 1867, defining the RPF’s objectives, confirming the Commissioners’ earlier activities, and nominating as trustees the First Lord of the Admiralty, the Secretary of State for War and the Paymaster-General. As Victorian Britain waged further campaigns overseas and so suffered further losses among its armed forces, fresh appeals were made to the British public and new”War Funds” (e.g. Ashantee, Zulu, Transvaal) were created for the care of dependants. With the RPF so well established in this role, its Commissioners took over the administration of seventeen other funds for the benefit of the widows and orphans of servicemen. However, the RPF Commissioners clearly recognised the shortcomings and inappropriateness of relying on public generosity to care for those bereaved by war. As casualties mounted in the South African War, which had begun in 1899 and to which no end could be foreseen, they petitioned the Government to grant pensions to the families of those who lost their lives through war, and they succeeded when, in 1901, Parliament finally granted pensions to war widows. Two years later Parliament passed the Royal Patriotic Fund Re-organisation Act 1903. From 1 January 1904, the Commissioners were replaced by a Corporation with a General Council – the Royal Patriotic Fund Corporation (RPFC). By this Act, the Fund was given a much larger and widely representative management from within the community across the country, including all Lord Lieutenants in the UK. As state welfare grew in the early years of the twentieth century, the Old Age Pension Act of 1908 greatly reduced the liability of voluntary funds such as the RPF. However, on the outbreak of the First World War the RPFC was granted a share of the Prince of Wales National Relief Fund, with which it was to grant immediate financial assistance to the families of those who fell in action. In the first two years of the war, the RPFC helped over 170,000 widows and other dependants, but Parliament recognised that these huge numbers of cases cried out for the creation of a government ministry and so, by the Naval and Military War Pensions etc. Act of 1915, the Ministry of Pensions was eventually formed in 1917. In the interim, while the new ministry was being set up, the Act gave to the RPFC responsibility for guiding the work of the Local War Pensions Committees. Having finally handed over to the State the primary responsibility to care financially for the casualties of its wars, the RPFC has since 1917 continued with the worthy aim of providing supplementary relief to the widow(er)s and children of deceased Service personnel. Assistance with education has from the outset been at the centre of this care. 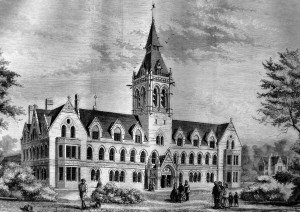 The Royal Victoria Patriotic Asylum for Boys was founded in Wandsworth, probably in 1857, but was closed in 1881. The Royal Victoria Patriotic Asylum for Girls was opened in Wandsworth in 1859. Subsequently re-named the Royal Victoria Patriotic School, it evacuated to Saundersfoot in South Wales for the duration of the Second World War. Deciding that the Wandsworth premises were too large for their needs, the School’s Committee of Management opted for a new post-war location and so in 1946 the school moved to Bedwell Park at Essendon, near Hatfield in Hertfordshire. In response to falling numbers of applicants, the School in 1959 expanded its scope to accept daughters of living servicemen, but it was finally closed in 1972. As mentioned above, the RPF/RPFC has also provided financial assistance for Service orphans to attend other schools, including in particular Wellington College in Crowthorne, the Royal Naval Female School in Twickenham (subsequently renamed the Royal School for Naval and Marine Officers’ Daughters, later in Haslemere), the Royal School for Daughters of Officers of the Army in Bath (now incorporated in the Royal High School, Bath), the Royal Alexandra and Albert School, and the Royal Seamen and Marines Orphan School in Portsmouth (subsequently renamed the Royal Naval and Royal Marine Children’s Home), but also and in smaller numbers at a variety of other orphanages and schools, in the UK and in India. 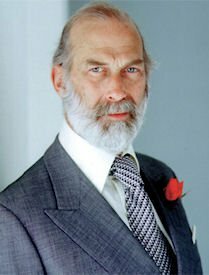 since 1979 HRH Prince Michael of Kent GCVO. Courtesy: The National Archives, Kew, 2015. Lloyd’s Patriotic Fund was founded on 28 July 1803 at Lloyd’s Coffee House, and continues to the present day. Lloyd’s Patriotic Fund now works closely with armed forces charities to identify the individuals and their families who are in urgent need of support. The contributors created the fund to give grants to those wounded in service to the Crown and to set up annuities to the dependents of those killed in action. The Fund also awarded prizes to those British combatants who went beyond the call of duty. The rewards could be a sum of money, a sword or a piece of plate. The awards were highly publicised to help raise morale during wartime. In 1807 the fund also donated £61,000 to the Royal Naval Asylum, giving Lloyd’s Patriotic Fund the enduring right to nominate children to the school. On 24 August 1809 the Fund held a general meeting of its subscribers. The subscribers decided at that time to discontinue awards for merit. The Peninsular War was putting such demands on the Fund that it was felt that priority would have to go to support for the wounded and the dependents of those killed. Still, when the Fund awarded officers money for wounds received, some officers asked that the Fund give them an inscribed sword instead. Subscriptions in aid of a Patriotic Fund for the relief of the widows and orphans of soldiers killed in active service were sought in 1855. Although mainly supported by the well-to-do of the Colony, the list of subscribers in the Inquirer newspaper of 9th May 1855 shows that some serving soldiers and ticket-of-leave men also contributed generously.